People have been predicting the end of the world since the beginning of the world. 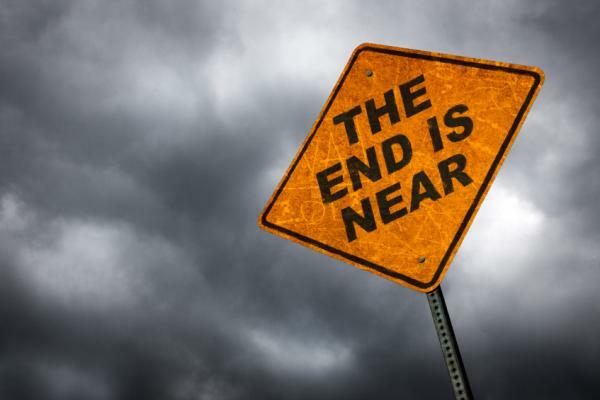 Christians have expected the apocalypse since the Book of Revelation was written. Even scientists like Paul Ehrlich predicted the end would arrive by the 1970s. However, it might be time to take the idea more seriously. The “end of the world” can be defined in various ways. My definition? I define it as the large loss of human life and knowledge. Even a 10% loss would be tragic beyond imagination. Many environmentalists are actually concerned about human suffering and our continued civilization. There are many disasters that might cause the “end of the world,” but I find several both interrelated and too probable. These are nuclear war, climate change, and infectious disease. Big organizations are beginning to take them seriously and you should too. Humans have been fighting bacterial and viral infections since the beginning of our species. Even with all our medical expertise today, it’s far easier for a pathogen to kill huge numbers of us. Partly this is because we are moving to cities and partly this is because mobility (think air travel) is now so easy. However another factor is antibiotic resistance. The World Health Organization has issued a report warning of the huge danger of over-using antibiotics (especially in livestock). Another grave concern is an engineered bio-weapon that escapes control. The British medical journal The Lancet has issued a new warning discussing the impacts of climate change on human health. Climate change affects the availability of such rudimentary needs as water, food, and shelter. Not only that, but climate change means that disease carriers like mosquitoes will be more prevalent and widespread. The NRDC argues that once rare infections in the US are on the rise. Climate change even threatens developed cities due to changes in water availability. This article discusses a UN report and 8 world cities that face water scarcity in the near future. This is a big one, because if it happens the “end” comes pretty fast. A generation ago, a betting man might have picked this one as the most likely. The USSR and USA repeatedly came close to destroying the world. Even now, the US and Russia are modernizing their arsenals and maneuvering each other into more dangerous stances. Further, climate change may exacerbate certain situations. India, Pakistan, and China all rely in part on Himalayan glaciers for water supply. As populations grow and climate change stresses water and food resources, the unthinkable might be considered. Even a few weapons exchanged in a “small” conflict would drastically alter the climate, further exacerbating resource scarcity. A doomsday clock was conceived to convey the danger we face from nuclear war back in 1947. It has since widened its scope to climate change and other threats. The clock is updated periodically, but in January this year we moved to 3 minutes to midnight. Since its inception 68 years ago, we’ve only been closer to midnight only once (in 1953). These are big organizations warning about BIG impacts. In the past, we’ve largely relied on good luck and timely technological inventions to avoid catastrophe. We need more discussion and engagement with these issues. We have the power to change our future and to make it better for all life.